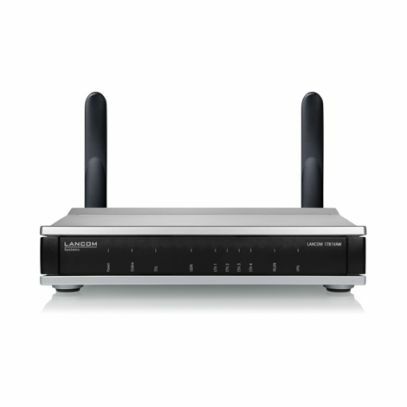 The LANCOM 1781VAW is a professional, high-performance VPN router for high-speed Internet access via the integrated VDSL/ADSL2+ modem and Wi-Fi based on IEEE 802.11n. With VDSL2-vectoring support it is ideal for high-speed VDSL connections offering 100 Mbps for small and medium-sized enterprises and home offices in need of site connectivity with maximum security and performance. The right choice for secure, reliable and sustainable networking solutions "Made in Germany". -Wi-Fi based on IEEE 802.11n for up to 300 Mbps.